The National Retail Association is urging food retailers to start preparing now for the state-wide plastic bag ban that will be implemented on July 1 2018. The ban will apply to all retailers – not only supermarkets – including food businesses such as butchers, convenience stores, and takeaway restaurants. NRA Manager for Industry Policy David Stout said that both shoppers and retailers needed to be across the detail of the ban to limit disruption to retail businesses and the shopping experience of customers. “There’s a misconception that this ban will only apply to large supermarkets and that is simply not the case,” Mr Stout said. 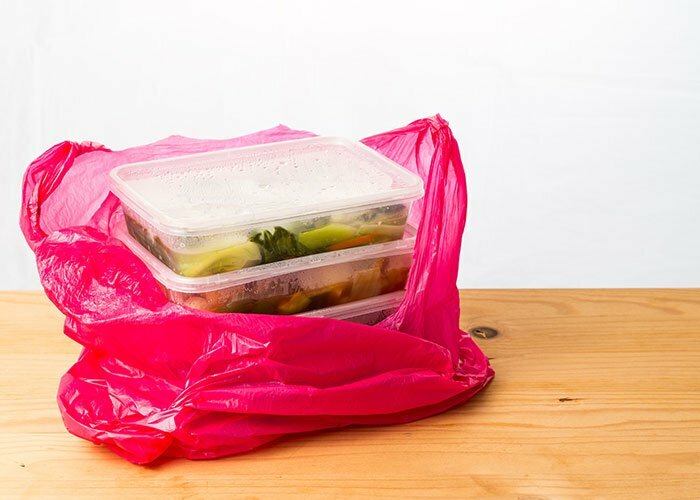 “The ban will apply to all lightweight plastic bags, such as singlet-style bags used at the local butcher shop and takeaway bags used by restaurants and food court outlets. “Some food retailers may be confused as barrier bags like those on rolls in the fruit and vegetable department are allowed, but the singlet-style bag the cashier puts these in are banned. “If retailers are not aware that the ban extends to them, they risk being unprepared, but also being fined for not complying with the new laws. Mr Stout said that businesses will generally have three choices in the lead-up to the ban – cease offering banned plastic bags altogether, charge for alternative bags or wear the cost of providing a free alternative bag. “There are options open to retailers and the NRA urges them to begin thinking carefully on how their customers will react to being charged a small fee for an alternative bag or whether the business can operate without alternative bags,” Mr Stout said. “Retailers need to begin considering the economic impact of the extra costs that may be imposed on their business and whether they have the ability to absorb the new costs or if they need to pass those costs onto shoppers.